This practical book presents a proven decision-making process to help IT and business managers select the off-the-shelf software product that best fits the needs of their organisation, whether in the commercial or public sector. Offering a structured approach to managing stakeholders, requirements and candidate IT vendors, this practical 'how-to' guide will help deliver a rigorous, defensible decision within an aggressive timescale. Martin Tate is founder and principal consultant at Decision Evaluation Ltd, an IT consultancy that has specialised in selecting off-the-shelf solutions for over twenty years. A ‘poacher turned gamekeeper’, he formerly worked for an IT provider and was trained to sell software. BCS awarded him Chartered Fellow status for eminence in IT selection. Martin is the guru of robust decision making. The process he describes in this book combines intuition with rigorous, transparent logic. Good choices are easy to explain, sell and defend whilst spurious bias is left with nowhere to hide. 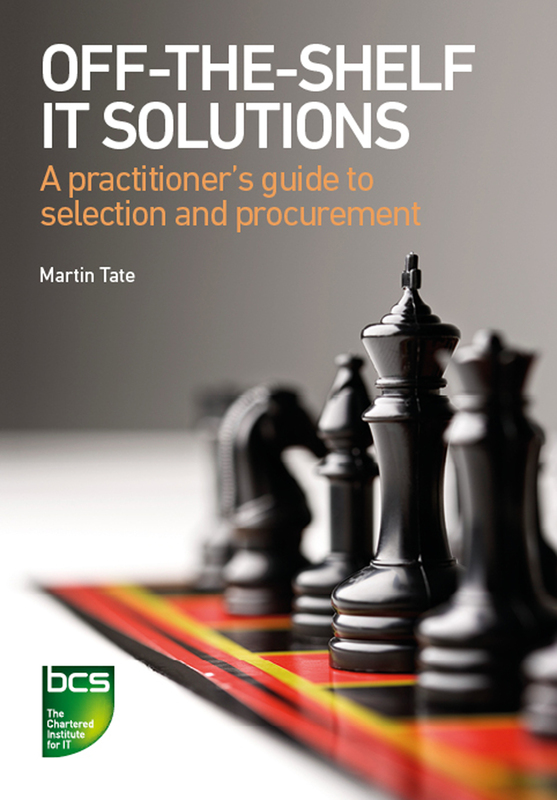 Martin's book builds on his clear, detailed understanding of assessing and selecting off-the-shelf IT and provides a rigorous, practical method to get the solution needed. I've long experience of how newcomers react to the selection method in this book - they like it a lot. I'm very confident that readers will quickly appreciate the benefits and how to apply it to their projects.